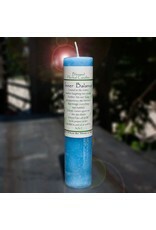 A light blue candle infused with cedar, sage and jasmine oils. 1.5 x 7 pillar with a 40 hour burn time. Daily life is framed by extremes and bound by one’s response to them. At any given moment, we wear the masks of comedy or tragedy in a continual cycle of action and reaction. 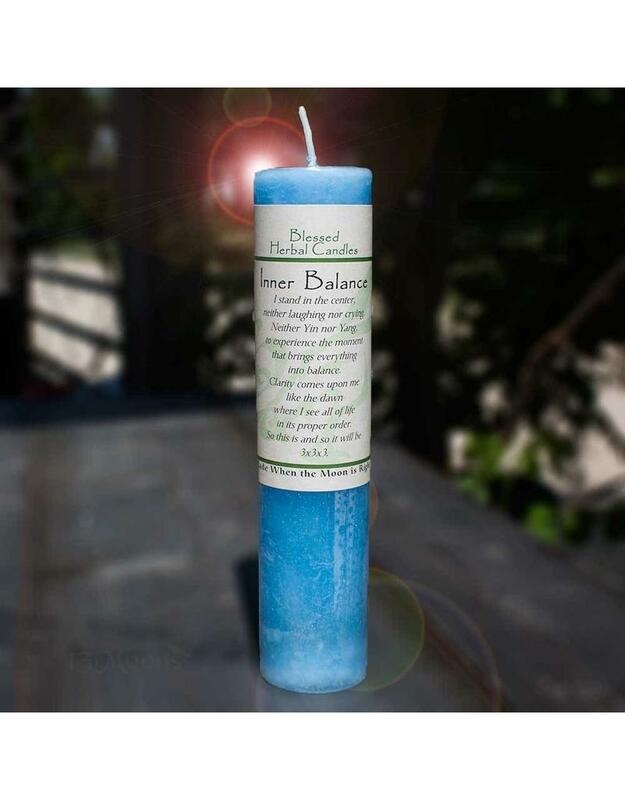 This Candle slows the emotional and spiritual pendulum swings and bringing you to your center. This is a gentle task, like water finding its own level, carving a path in the earth for itself over centuries. A moment of quiet contemplation can mend a day’s worth of turmoil. to experience the moment that brings everything into balance. Clarity comes upon me like the dawn where I see all of life in its proper order. So this is and so it will be.